Kevin was looking good for an Indycar seat for this season, if it wasn't for Alonso's illness, he wouldnt be out here. @Efranov: Absolutely, big shame that. Wonder why some drivers insist on No.1 status... Really don't see how that helps except for team order situations. Who is your pick for pole Nate? @Praveen: And that's exactly why they want it. I can see a few benefits of having number one status. I think Kevin deserves another shot at F1. Rather than being relegated to the A level minor leagues? @Houstontifosi: I think Indycar is getting stronger and stronger ever year. I'd love to see the likes of JEV there. It would help towards the end of a season where one driver has more points then the other teammate, but there is a challenge to the team or drivers championship, if both squabbled and ended up taking each other out, that other driver or team can cause a big upset. 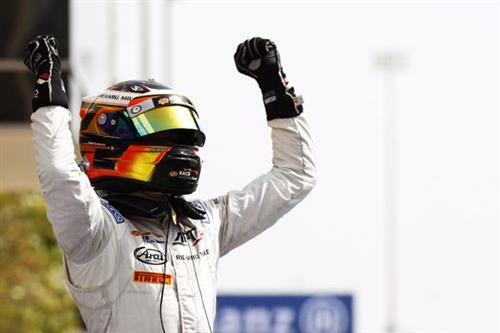 Perez and Hulkenberg slot in behind Button in third and fourth. Why bother having 2 teams within a team if the one team's driver has the number 1 driver status? You may as well have one team with one driver enjoying all the benefits, and cut the cost of running an entire team in half! @Nate Indycar is an irrelevant series thanks to Tony George. I watch Indycar, it was great to see James Jakes on the podium at Nola. #2 gets the left over wings. Bit of a mis-mash of comments about two different things there but hopefully you're following. Looks like Hamilton is about to enter the fray. Also - here's a name you're going to need to start taking notice of this year. Alonso heads out for his first lap in the McLaren today. Maldonado has jumped into P1 with a 1:37.962. Verstappen slots into second, posting a 1:37.991. 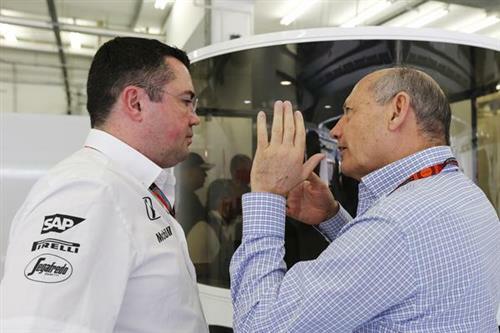 Boullier [thinking]: "Ron, just go home, you're not helping." @ShreyKundra: It's hard to tell in these conditions, but the longer runs yesterday evening looked very close between both teams. Rosberg slots ahead of Maldonado by three tenths to take P1. That new benchmark a 1:37.599.
rcc: 1998 spa francorchamps was a perfect example of it. i dont think we will ever see the likes of that type of race again or third cars. @Nate , re: poll , Doesn't a driver(Kimi in this case) have a choice to stay in the team or retire? @jee1: I think the option has to be taken up by both parties. Hamilton has started his first proper flying lap of the day. What're the odds of some team getting a Honda Engine in 2016?? @rockedin123: There's been talk of it but I think it's unlikely, unless Honda wants to supply a smaller team down the grid. Looks like something has come off the back of Maldonado's Lotus. Also seeing a replay of Hamilton running deep into Turn 1..
Time to get some bets down on Maldonado for tomorrows race. That's just parts not reatached since Maldonado's last crash. Vettel has gone P1 with a 1:37.290.